This is a beautiful invitation. We are on an extremely tight budget & found this invitation, which I assume is free. Thank you so much for designing this!!! Hi Donna, yes it’s free of course. Just hit the download button. 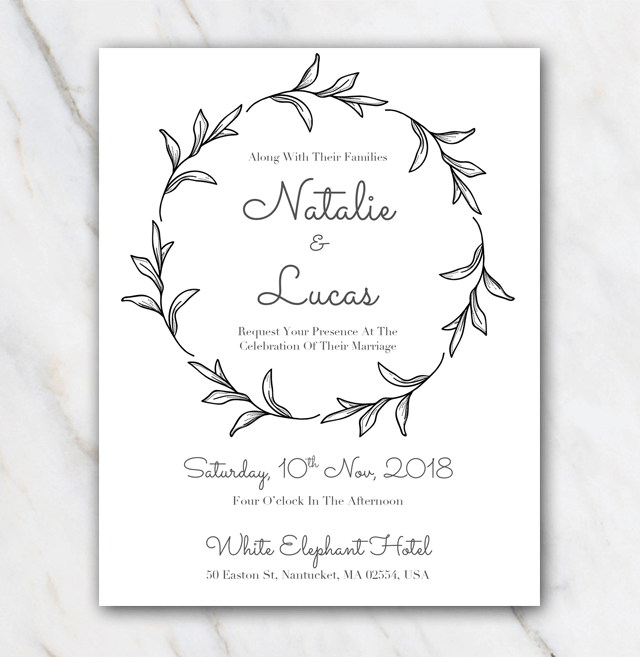 Looking for a more neutral wedding invitation? Have a look at this Black & White wedding invitation. Easy to download. You just have to install the fonts and start editing the information on the invitation. After that? Save the document and either print it at home or at your local copyshop. Don't forget to have a look at the other - more colourful - wedding invitation templates.